FXCM is a leading provider of online foreign exchange (FX) trading, CFD trading, spread betting and related services. Founded in 1999, the company's mission is to provide global traders with access to the world's largest and most liquid market by offering innovative trading tools, hiring excellent trading educators, meeting strict financial standards and striving for the best online trading experience in the market. Clients have the advantage of mobile trading, one-click order execution and trading from real-time charts. In addition, FXCM offers educational courses on FX trading and provides trading tools proprietary data and premium resources. FXCM Pro provides retail brokers, small hedge funds and emerging market banks access to wholesale execution and liquidity, while providing high and medium frequency funds access to prime brokerage services via FXCM Prime. 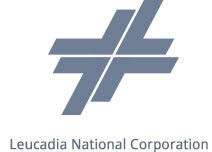 FXCM is a Leucadia Company. FXCM is committed to building a better brokerage for our traders, our goal is to provide you with the ultimate trading experience. We are constantly looking to provide innovative technology solutions, quality pricing, and transparent execution that will help our traders navigate and trade the financial markets. FXCM also offers dedicated customer support, with global offices in London, New York, Hong Kong, Sydney, Berlin, and more. FXCM Group is a holding company of Forex Capital Markets Limited, inclusive of all EU branches (FXCM UK), FXCM Australia Pty. Limited, (FXCM AU), and all affiliates of aforementioned firms, or other firms under the FXCM group of companies [collectively "FXCM"]. The FXCM Group is headquartered at 20 Gresham Street, 4th Floor, London EC2V 7JE, United Kingdom. Forex Capital Markets Limited (“FXCM LTD”) is authorised and regulated in the UK by the Financial Conduct Authority. Registration number 217689. Registered in England and Wales with Companies House company number 04072877. FXCM Australia Pty. Limited (“FXCM AU”) is regulated by the Australian Securities and Investments Commission, AFSL 309763. FXCM AU ACN: 121934432. FXCM Markets Limited ("FXCM Markets") is an operating subsidiary within the FXCM Group. FXCM Markets is not regulated and not subject to the regulatory oversight that govern other FXCM Group entities, which includes but is not limited to the Financial Conduct Authority, and the Australian Securities and Investments Commission. FXCM Global Services, LLC is an operating subsidiary within the FXCM Group. FXCM Global Services, LLC is not regulated and not subject to regulatory oversight.